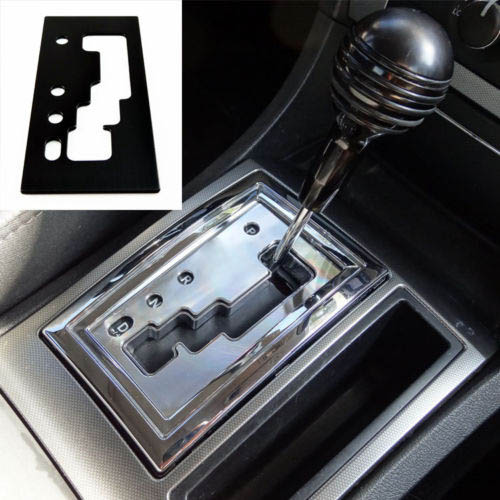 Innovative Bold Styling: UPR's Billet Shifter Insert Plate will give your center console a killer look. Simply remove your shift knob and place the plate over top the factory shifter, it's just that easy. Machined from Billet aluminum and designed for a perfect fit. Quality Construction: CNC Machined from 6061 Billet Aluminum to fit over the top of the factory shifter gate. Using the latest in Diamond cut technology, which uses a special diamond cutter on the finishing pass giving you the best looking billet part possible. No one gives you the bold clean styling of our Aftermarket Dress Ups, Suspension and Performance Parts for your American Muscle Car like UPR Products! Installs in 5 minutes or less. Fits these Vehicles: 2005 2006 2007 2008 2009 Chrysler 300. Made in the USA!